Well first things first… Way to go Georgia Bulldogs! Although the weather may not feel Fall like in Georgia it certainly does here in the Chicagoland area. The leaves are almost completely off the trees and we have already started fires in the fireplaces in the evenings. With that said, a warm breakfast on a Sunday morning sounds good and I decided to make Pumpkin Pancakes. I have to admit I love the flavor with some pumpkin pie spice and texture as they aren’t dry like usual pancakes so no need to douse them in syrup! 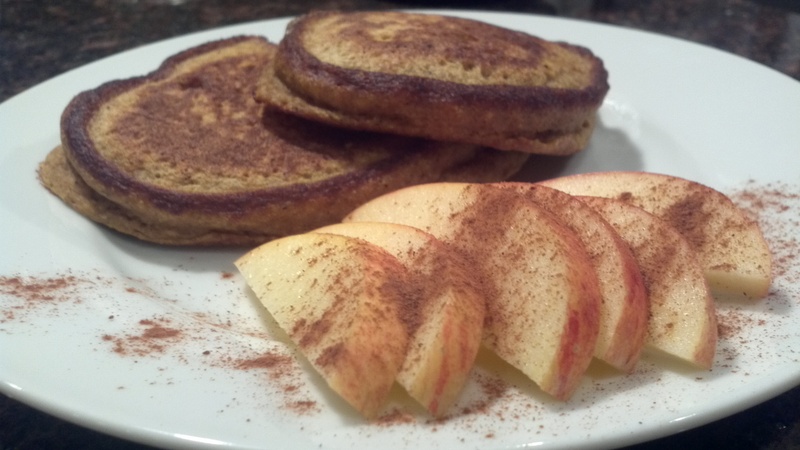 These can be made with regular pancake mix or gluten-free mix. I also used almond milk versus regular milk to make them dairy-free but you can use milk or water if you would like. Also, I realize for the pancake purist out there you would never use a “mix” but this is a super-easy way to get a hot, healthy pancake on the plate lickity-split! In one large bowl blend the two eggs, vanilla, pumpkin, almond milk and spices together. Add the pancake mix and stir together well with a fork. Heat a stainless steel skillet over medium heat and add a teaspoon of coconut or grapeseed oil to lightly coat pan. Add a scant 1/4 cup of mix to the skillet until small bubbles start to form on the top of the pancake. (approximately 2 minutes). Turn over and cook for another 2 minutes. REPEAT steps 2 and 3 until desired number of pancakes are finished. Top with a little maple syrup, honey or fruit preserves and serve with a side of sliced apples. You can also make a whole bunch of them ahead of time and freeze them for a quick breakfast later on. Just place frozen pancake into a toaster to warm up or reheat in a skillet. We hope you have had a great weekend thus far and that you enjoy your Sunday. 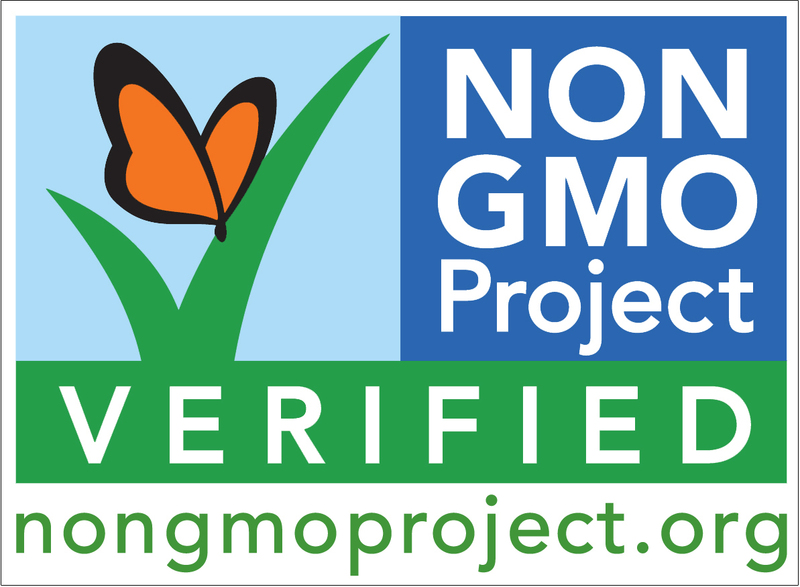 We realize we have been sharing a LOT of information on GMOs the past two weeks but it thought it would be good to break it down into some manageable pieces. You may want to consider the reasons below on why to eat organic as well as the tips on avoiding GMOs. Organic food tastes great! It’s common sense — well-balanced soil grows strong, healthy plants that taste better. 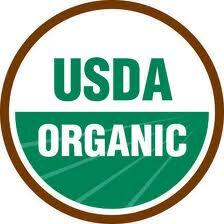 On average, organic food contains higher levels of vitamins, minerals and important phytonutrients. Studies show that children who switch to an organic diet dramatically reduce the level of pesticides in their bodies. Organic standards prohibit toxic chemicals. Neurotoxic solvents, carcinogenic fumigants and genetically engineered organisms are strictly prohibited in organic food production. Avoid processed foods. Nearly 80 percent of packaged foods contain GMOs If you choose to buy packaged food be sure they contain one or both of the labels mentioned earlier. High fructose corn syrup (HFCS) or corn syrup sweeteners come from GMO corn. Another toxic sweetener, aspartame (found in Diet Coke) is also a GMO. Avoid packaged cereals. Most are full of GMOs, even if they say “natural”. Buy grass-fed organic dairy and beef. Most milk, milk products and beef are usually from cows fed GMO corn or soy. One-third of commercial milking cows are injected with patented Monsanto GMO growth hormones called recombinant bovine growth hormone (rBGH). If dairy is not labeled organic or grass fed, at least look for labels that say no hormones or rBGH. When you look at the percentages of the crops that are GMO you can start see where this is alarming. If we simply take the sugar beet percentage of 95% and consider the number of breakfast cereals and yogurts (so called “healthy” foods) that contain sugar we start to see the problem. We haven’t even touched on the rest of the grocery aisles with things like dressings, breads, cookies, crackers, pizza etc. that contain not only sugar but canola oil as well! We know that many of you are trying to lose weight, eat healthier and put your own health into your hands. Considering and adopting the simple steps above will put you head and shoulders above where most people are at today. At Organic Housewives we sincerely care about you and your family and hope that you are able to implement some of these lifestyle changes into your current routine. We also wanted to thank everyone for the purchases that you have made either in person or through the website. We are trying to make it even easier for those of you who live at the Lake and have teamed up with Oconee Interiors/The Kitchen Store and More and have our products available there as well! 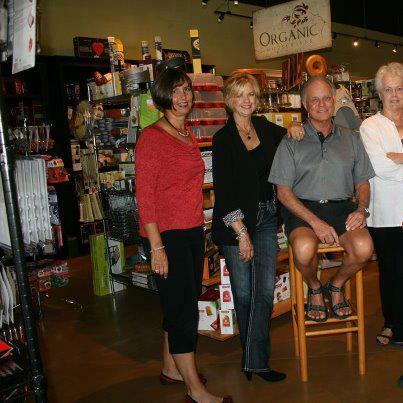 We are excited about the relationship and know how passionate they are about promoting health and wellness as well. So whether it’s that great full-bodied organic coffee you are looking for or the best organic coconut oil, you now have another outlet to purchase from! If you have any questions or comments let us know. We would love to hear from you!